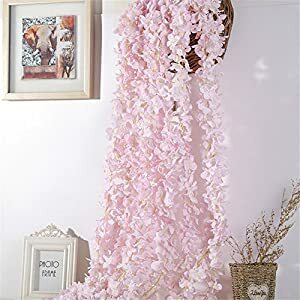 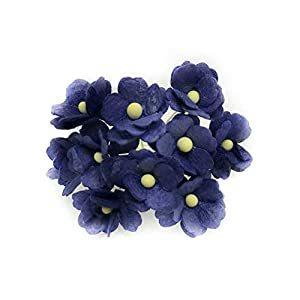 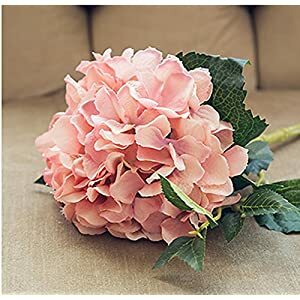 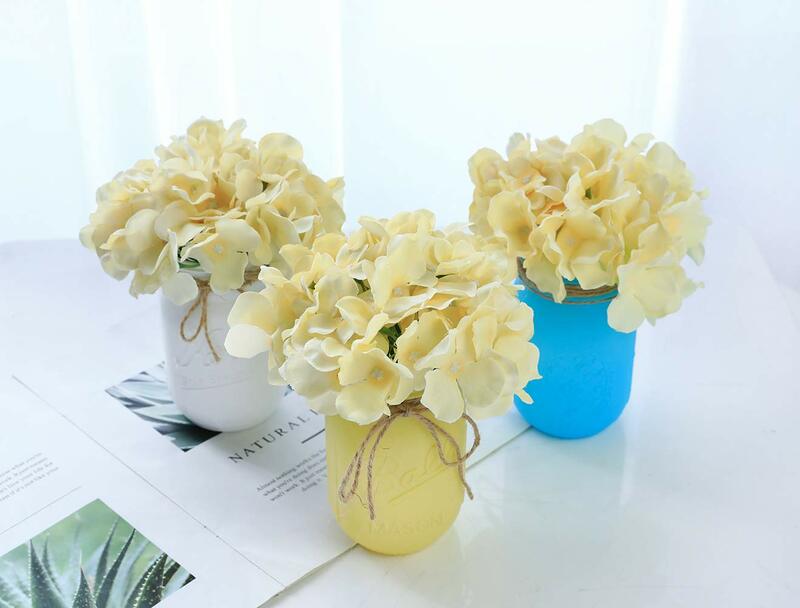 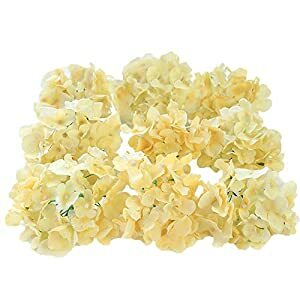 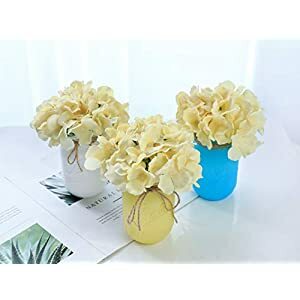 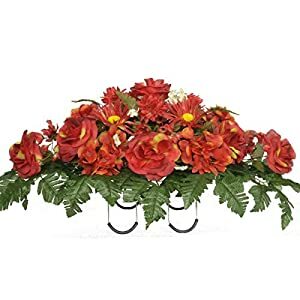 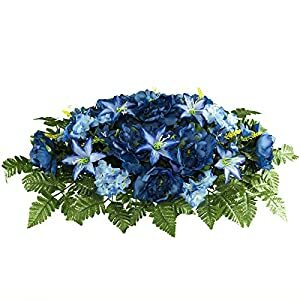 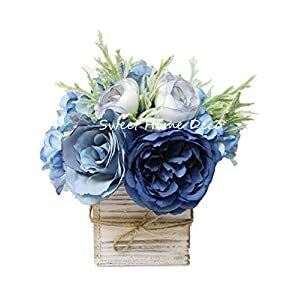 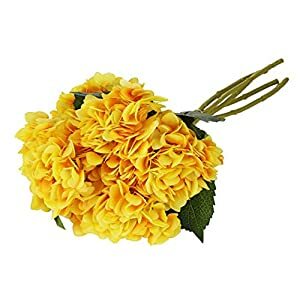 Suggestion: Blow the artificial hydrangea flowers minutes by hair dryer to make them blooming, after a long time of transportation. 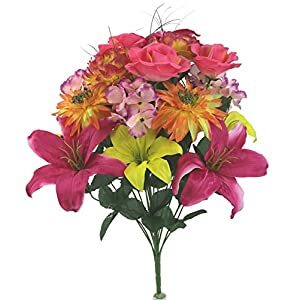 Specification：Real touch silk flowers,about 30 blooms per head, approx 5.5”/14cm. 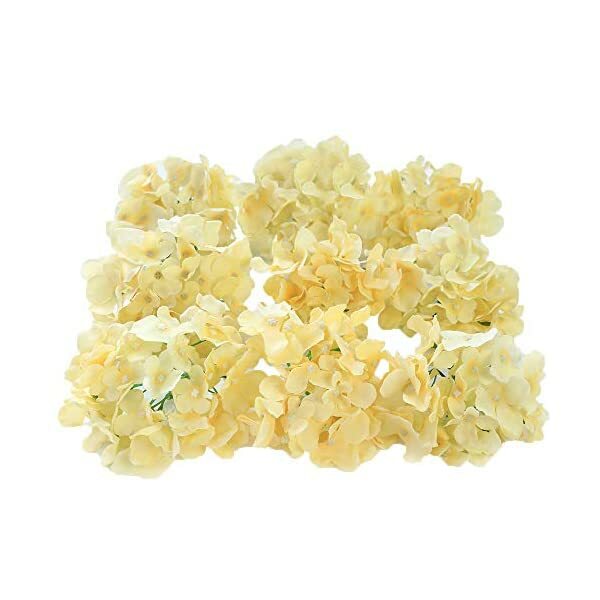 Packet:12 pieces hydrangea flower heads. 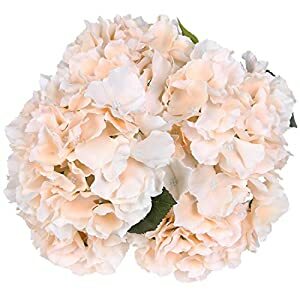 WITHOUT STEM. 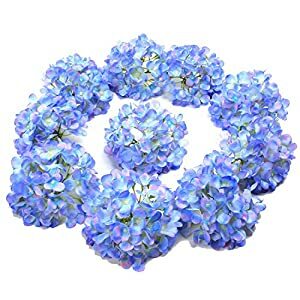 4.Bunches measure approximately 5.5 inches(14 cm) in diameter.